Chinese-born American pianist and music educator, Dr. Ming Ge, is a Beijing Wind Orchestra Artist-in-Residence, a visiting professor at the Xi'an Conservatory of Music, and a visiting professor of music at the Zhengzhou Yellow River University of Technology and at the College of Art at Yan’an University. 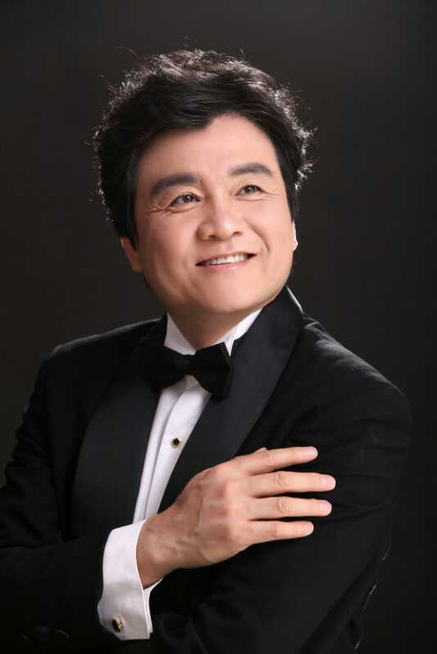 Dr. Ge is also one of the preliminary promoters and Artistic Directors of the 1st Yan’an International Piano Festival of 2013, and one of the founders and Artistic Directors of the 2014 Xi’an “Silk Road” International Piano Festival. Dr. Ge earned his undergraduate degree from the Xi'an Conservatory of Music, where he studied under the tutelage of Professor Liu Changbiao. He later taught, with honors, as a faculty member of the Xi’an Conservatory piano department. Dr. Ge continued his studies in the US, where he received a Master of Music from the University of Redlands in California, and a Doctorate in Musical Arts from the University of Arizona. While in the United States, Dr. Ge studied under Louanne Long, Paula Fan, Nicolas Zumbro, Nohema Fernandez, and other well-respected American pianists. In the course of his career, Dr. Ge has received guidance and praise from Fu Tsong, Liu Shikun, Shi Shucheng, Bao Huiqiao, Dalton Baldwin, Irwin Cage, Hans Kaan, Michael Ponti, Spencer Myer, Olga Rodsoljivevich, Pierre Sancan, Charles Wadsworth, and other internationally renowned pianists. Listed among Dr. Ge’s many awards are the Phi Beta Kappa International Distinguished Scholar prize, honorary membership in Phi Kappa Lambda, and awards in several piano competitions. Dr. Ge’s performance of Franz Liszt's Piano Concerto in E flat major was praised by the Arizona Daily Star for its "mastery of the art." Dr. Ge has extensive teaching experience, has given master classes at numerous Chinese and American music colleges, and has had a number of students who have been prize winners in Chinese, US, and international piano competitions. In 2010, Dr. Ge, in cooperation with internationally renowned conductor Li Fangfang, performed the Chinese premiere of Igor Stravinsky's Concerto for Piano and Wind Orchestra at the China National Grand Theatre Concert Hall. Being the first Chinese pianist to play the work, Dr. Ge was interviewed in a 90-minute program broadcast on Chinese television. In 2011, Dr. Ge was invited by the Beijing Wind Orchestra to tour with them as soloist. They performed in various regions and cities of Taiwan and South Korea, and received extensive coverage by major media outlets. In August 2012, the Beijing Television Arts Channel broadcasted live and nationwide Dr. Ge’s performance with the Wind Symphony Orchestra at the National Theatre. And again in January 2014, Dr. Ge and Li Fangfang collaborated in a New Year’s performance at the Shanghai Oriental Art Center and the Beijing National Grand Theater, performing Gershwin's Rhapsody in Blue to critical acclaim.